Shyness in Adults – Is It a Mental Health Issue? It’s estimated that up to fifty per cent of adults identify themselves as ‘shy’. But when does shyness move from a manageable personality trait to a serious mental health issue? Many people are shy and under confident some of the time and in some situations, but not in all facets of their lives. They would like to feel more at ease and would welcome having more people in their lives, but have a hard time making those things happen. People in this category see shyness as a problem, but can be determined to overcome their shyness. According to Dr. Bernardo Carducci, who has studied shyness for several decades, 91% of shy people say they’ve consciously tried to get over their shyness, while 67% say they seek out social situations such as parties and clubs despite their discomfort. 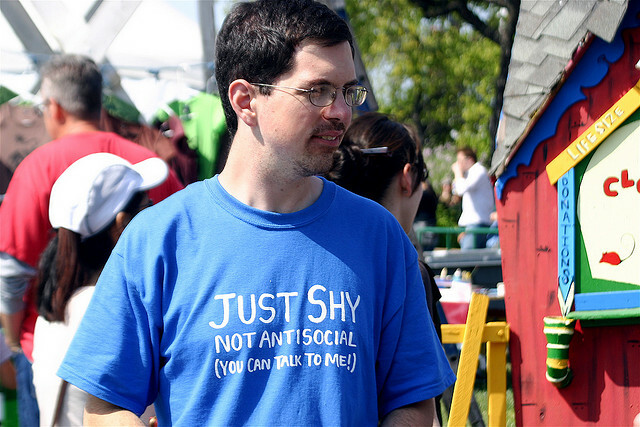 Do people with a regular case of shyness need mental health support? In general, counselling can help most of us. But it absolutely depends on the person. If someone is comfortable being shy and their life is moving forward in a way they like, then shyness is not necessarily a problem. But if shyness is having a direct negative affect on your life, then counselling could could certainly help. What sorts of issues and symptoms might shyness cause? Extremely shy people are at risk of falling into drug misuse or alcohol dependency as a social lubricant, or as a relief from loneliness and isolation. Shy people are also at risk for being used by others, and can find themselves embroiled in bad relationships that offer little in the way of affection or support. This is because shy people often let others choose them, rather than risk rejection by trying to connect with the people they truly want in their lives. And once involved, they might not have the self-esteem to step away even if they know they should. (Think this sounds like you? You might want to read our piece on codependency and relationships). Things like career progression can suffer as shyness inhibits people from showing initiative and reaching your goals. They might withhold good opinions and ideas, or let others take credit for them. This can all lead to money troubles, frustration and anger issues, and cycles of low moods. These can result from struggling with the above difficult relationships and thwarted life progress. Low self-esteem is one of the most reported signs of depression, and it’s hard to feel good about yourself if you don’t feel taken care of or appreciated. When shyness becomes debilitating, stopping you from any sort of life you want, it can indeed move toward a mental health disorder. Known as “social anxiety disorder” or “social phobia”, it leaves sufferers in a constant state of anxiety and possibly experiencing panic attacks. Social anxiety means interactions of any type, even buying something at a store or calling a plumber to repair a leaking pipe, create severe anxiety. A sufferer might avoid or put off even such limited contact with others, which of course means their lifestyle can suffer. When an event that can’t be avoided looms the days and weeks before it are filled with dread, worry and physical symptoms such as stomach cramps, nausea, headaches, or insomnia. Social anxiety is surprisingly common, according to the NHS here in the UK. Even so, i’s also seen as underreported, meaning many more might suffer than seek help. Numbers might even be growing, as our modern lifestyle creates more social pressure via things like social media (read our article about the negative affects of Facebook). Do those who suffer social anxiety disorder need mental health support? Yes, it’s highly recommended. Symptoms can be brushed off by sufferers as less important than other mental health problems or less serious, but they aren’t. They are distressing and can very much affect your enjoyment of life and also cause problems for your family and loved ones. Social anxiety is unlikely to get better on its own. The good news is that social anxiety disorder can be effectively treated. Note, thought, that extreme shyness is not always a sign that someone suffers social anxiety disorder. 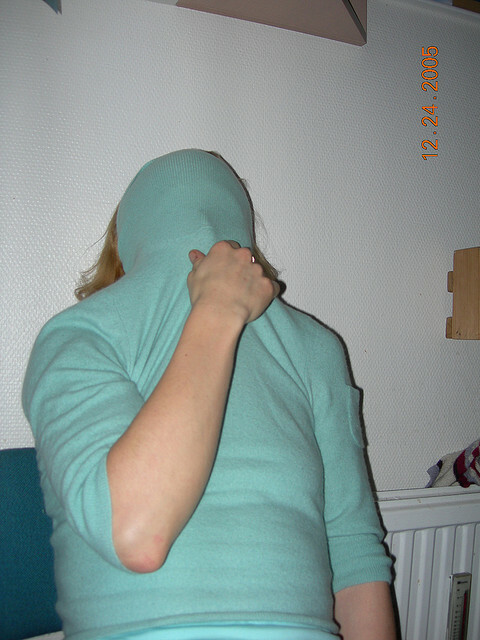 Extreme shyness can also be a symptom of other issues such as learning disabilities that cause the person to feel embarrassed and inadequate, or mental issues such as Asperger syndrome or autism. Are some of us just born dangerously shy? There is growing evidence that some people are born with a predisposition towards extreme shyness and perhaps more likely to develop social disorder. These people have an inner alarm system that seems stuck in high gear, leaving them wary of anything unfamiliar and fearful enough to develop a pattern of avoidance. When studying groups of 4-year-olds developmental psychologist Koraly Pérez-Edgar found that certain children avoided interaction, even when other children were friendly to them and invited them to play. Their reluctance was not a response to being ignored or challenged. What they feared was inclusion itself. Pérez-Edgar tracked these children through adolescence and found that many did indeed develop into habitually shy teens. These children were at risk for developing long-terms problems when it comes to dealing with others. A parent or guardian who is overly critical, cold or rejecting, or preoccupied with the opinion of others can have a damaging affect. A child can be left overly self-conscious and afraid that every word they utter or action they take will be judged and found wanting. Recently, psychologists have become equally concerned with over-protective parenting. A parent who prevents a child from experiencing failure or rejection robs the child of the chance to develop resilience and exaggerates the importance of these ordinary setbacks. 2. Childhood and Adolescence Challenges. Growing up is filled with vulnerable moments that can make previously confident children shy. Entering day care or beginning school, for example, takes a child away from familiar surroundings and playmates and immerses him or her in an unfamiliar environment filled with adults and peers who are strangers. Adolescence presents all new problems, introducing sexual and social competition against the fever-pitch backdrop of hormonal flux. The risk during these normal developmental stages is that if a child is labeled shy by parents and teachers, the label may become a cocoon the child never quite escapes. Parents can help by encouraging their child to join social groups that play to his or her strengths, such as an artistic child being taken to group art lessons. Any life event that shakes a person’s sense of self can trigger a bout of shyness. Divorce, loss of a job, financial difficulties, and illness can all leave someone questioning his or her value and appeal. This uncertainty can lead to tension, anxiety, and, ultimately, avoidance of social contact. This is why it’s important to not try to deal with trauma alone but to seek help. Again, shyness doesn’t have to be crippling or disabling to be an issue worth addressing. If you shyness is affecting your life in a way that causes you anxiety or worry, or simply stops you reaching your goals, it’s worth seeking support. Although antidepressants and anti-anxiety medications have been traditionally prescribed for people with social phobia disorder, new studies show that cognitive behavioural therapy (CBT), is more effective for all types of shyness than drugs. A collaborative study between Johns Hopkins Bloomberg School of Public Health, Oxford University and University College in London studied 13,164 people with long-standing social anxiety. In a series of 100 trials, approximately one-third of the group received medication, another third received placebo pills, and the remaining third received CBT. The results showed that CBT was more effective than medication. So convincing was the data that the U.K.’s treatment guidelines were changed as a result, recommending CBT as the first line of treatment and medication as a secondary alternative. CBT is an especially good fit for shyness because it focuses on the relationship between thoughts, beliefs, and behaviours, and shyness is a behaviour that’s often rooted in misperceptions and negative thoughts. For example, many shy people seek out social situations like attending parties and joining clubs to overcome their shyness. But their efforts fail as once they arrive at the social event they make no further effort to connect with others but leave it up to others to make the first move. They then interpret others’ their failure to do so as a deliberate rejection. These people believed that others had studied them and found them wanting, when it was more likely that the others hadn’t noticed them yet, or might be hesitant themselves. Fearful of being rejected or seeming needy, shy people often are so reserved they strike others as aloof, a misperception that CBT can help correct. A final good reason to try CBT for shyness is that it can achieve results in a relatively short period of time, and, unlike medication, the results last long after therapy concludes. Have you tried counselling for your shyness? Or have another question about shyness you’d like to ask? Comment below. My aunt is too afraid to be around the family when we get together. She and my uncle just.stand away from everyone else. I can talk to.mu uncle, but not to my aunt. She just shivers and he holds her the entire time there are any family get togethers. I can tell it’s her not him, because he wasn’t that way before they met, and he talks to me. But she won’t talk to me. I think she needs to see a psychiatrist, because it seems like something might have happened to her when she was a child. Families are difficult. It sounds challenging. Yes, there can be a genetic component to shyness. Although low self esteem is generally related to personal experiences. Most of us feel our childhood was ‘fine’, but when we take the time to look more closely we can have upsets that we haven’t processed that are behind our low confidence. It doesn’t mean parents, teachers, or guardians were ‘bad’. They are people, and people aren’t perfect. Therapy isn’t about blaming others or trying to find ‘what went wrong’, it’s about finding what experiences registered as difficult for you personally, processing any repressed emotions, and finding your inner strength again. Maybe a better long term plan then creating a false self? Your articles are fantastic – I can relate with so many. Shyness is something I’ve always dealt with, believing it was just my personality but having read through your Blog for 3 hours solid I can see clear links between my lack of sense of self/identity crisis, low self – esteem, codependency and counterdependency, fear of intimacy, connections with others, and shyness. I’m not sure the root causes or how long it’s been going on but I do know moving abroad 10 years at 21 and almost immediately moving in with my boyfriend and not being able to speak the language deeper than basic conversation has only made my life and mental state worse. On leaving the UK I was confident in many things but looking back over 10 years I feel I have regressed/failed to develop or maybe never developed in the first place. Unfortunately my language skills have not improved much and I find myself avoiding leaving the apartment more and more. I avoid taking or making phone calls in front of people. There have been weeks where I haven’t been outside for 6 days in a row, with the only person I see being my boyfriend and perhaps a few messages or phonecalls with my mum and maybe a friend. It’s quite freeing seeing how these all link together and to believe that the negative behaviours and thoughts can be overcome. Thank you so much for the compliment, we love to hear that our articles are helpful. It’s so interesting, what you are sharing. Are we a product of life, or is our life a product of our personality? Or is it a blend of both? Certainly, some of us seem to arrive in the world with more sensitive personalities than others. This means that on one hand, we are easily kind and empathic to others, but on the other hand, not having structure or too much change can throw us more than it might others. And certainly moving country where you don’t speak the language can throw anyone (we actually have an article on the moving abroad blues, did you see it?). You show so much self awareness, but it’s also clear there is real suffering going on. Does it matter exactly what the label is, or does it matter what you decide to do next? It sounds like you need support, and one that is not biased but is impartial and outside of the situation. Have you considered Skype therapy? You can find therapists in the UK nowadays at all different price points who work over Skype, so even if you are on a low budget you should be able to find something. It might only take a few sessions to have the ‘lightbulb’ that can help you see a way forward. Good write up. I have been very shy since childhood but in recent time, I have worked against it when I got to know is becoming a negative behaviour. But I had a trauma around a month ago and since then I have been avoiding almost everyone and extremely confused. Trauma takes time to get over. Give yourself another few weeks and practice good self-care. If things don’t improve, or if you feel worse, we highly suggest you reach out for some support. Being Very shy has made me attend two universities just to obtain a degree in computer science though other factors played out in-between. I had prayed in the past not to make the best of grades in the university because I would have no reason not to land a good job in the midst of people. Very anxious at public funtions, especially where I am already known and more comfortable where I am not known already. It makes me run away from opportunities that are available all the time. So I don’t have stable work because I run away once exposed. But I can be king anywhere until my severe shyness is exposed. I am married with four kids and I love my family dearly but they are suffering because of this-I think my children will be wondering why they are suffering when their dad is a graduate and read and knows programming. My wife does not know what goes on inside me all the time, may be because we grew up in the same locality and everybody thought me to such a nice and prodigious boy then since I knew Mathematics and Sciences too well and was decent. My goal as a child was to be an inventor. But my shyness grew worse as I grew older and the goal I set for myself not achieved, terrible feelings of failure and depression surge in. I have sent prayer requests in tunes that indicated possible suicide, but no one replied. I have taken myself to a psychiatric hospital, they just laughed me off. I am very knowledgeable and erudite but it has not benefited me. Shyness has caused me my life. I am mocked at everywhere, even in the churches and I shed inner tears all the time. No one understands all the infighting in my mind. I have no money to pursue professional solution. When I was young, I used avoidance but I cannot avoid going to work and so there is a problem. Some people think I am lazy but that is not my problem at all. I am not introverted really or even fearful really; only avoid people and places just for severe shyness. Sometimes, some people are surprised that I am shy when they start noticing it because it is always hidden initially. But I don’t want to commit suicide because I believe strongly God loves me and I don’t want to go to hell and I don’t want to put my dear wife and lovely children in shame all their life. I make bold to say I need urgent help. Okey we are really sad to hear you were laughed off by psychiatrists. We think there is nothing more disheartening to hear that someone was brave enough to seek help and did not receive it. We don’t know what country you are in. But what we’d suggest is that you try a counsellor or psychotherapist, NOT a psychiatrist. A psychiatrist is a doctor who diagnoses mental health conditions and gives drugs. They are not known for their warmth and encouragement, which is what you need. It seems you have depression and anxiety, for starters. And the weight of a lot of expectations that is overwhelming you. What you need is a safe space to talk to someone you can trust. That is the job of a counsellor or a psychotherapist. They are there to help you examine how you became this way, if there might be some hidden trauma in your childhood holding you back, for example. And they help you change your thinking. Right now you are VERY hard on yourself. You can’t seem to see all the amazing things you have done. You went to university! You have a family! These are big achievements. But when we are depressed our mind gets trapped in the negative (http://bit.ly/cognitivedistortionlist). We know you say you can’t afford therapy. But this is your LIFE you are investing in. And your family, and your children, who love you, you are investing on their behalf. And you might find that therapy helps you MAKE money http://bit.ly/therapymakesyoumoney. It can give you the confidence to find more work for example. We would say you cannot afford NOT to go to therapy. Do a budget and see where your money is going and see if you can find any to use, and then look for low cost or even free counselling. For example a therapist in training may be very low cost. Read our article on finding low cost therapy here http://bit.ly/lowcosttherapy. Do we believe that things can change for you? Yes Okey we really, really do. We really believe you just haven’t had the time or space to be yourself in life. Everyone has always wanted you to be the good boy/smart boy/responsible man/ smart man. Sometimes we become shy and introverted just to push all this away and have some space to breathe. We believe with some time and space to learn who you are just for yourself, maybe you’ll find inner resources you never knew you had. Do keep trying. We wish you courage.